The next two photos are taken with the Kay-Pentax thin rigid 70° endoscope. 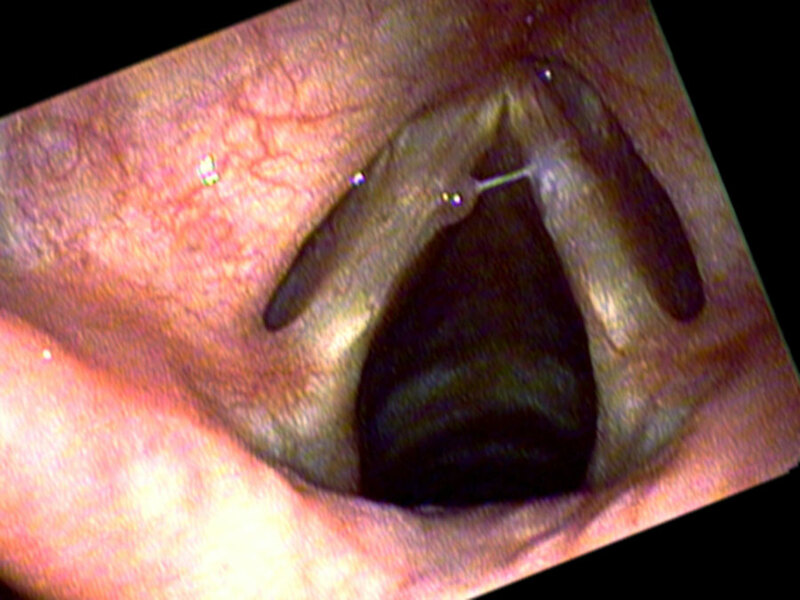 She is using her voice enough that the polyp is creating an indentation into the right vocal cord. 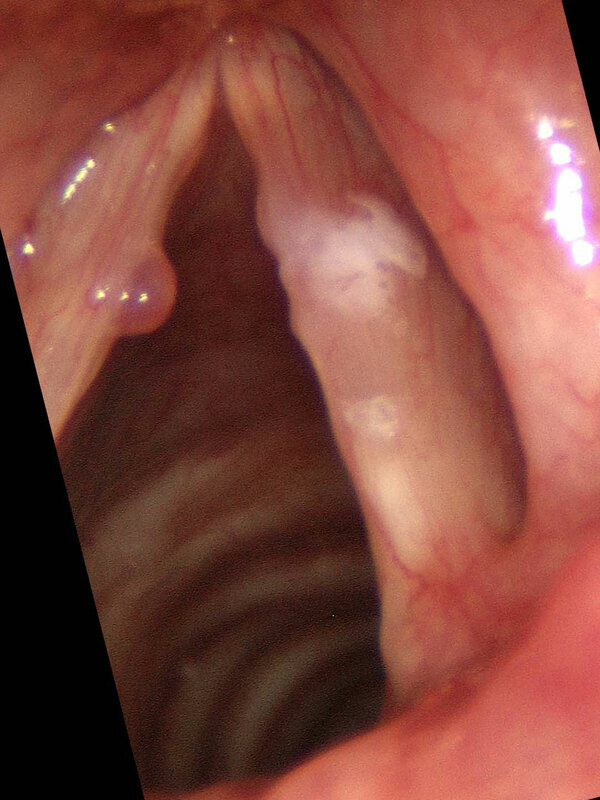 The dampening of the vibrations cause they secretions to accumulate on the right vocal cord in the middle.